The driving characteristics and hallmarks of capitalism today would have all found an uneasy home within the theological and moral world of John Wesley. He did not accommodate himself to the themes of the pervading culture, and despite his hierarchical political approach, he was revolutionary in his political and economic thought because it was predicated on a commitment to a specific image of God and a proper order for creation. Of the many things that might most concretely disrupt and deter from this image was an irresponsible relationship and understanding of one to wealth and capital. Indeed, Wesley one finds almost the complete antithesis to most major themes that buttress the design of capitalism run rampant. Themes that include, but are not limited to: a disregard for the other, the valuation of material, the desire for affluence, insatiable want, the inability to share, a disregard for community, the holy trinity of democracy, republicanism and economic theory, a lack of personal austerity, the limitless pursuit of desire, solidarity with the poor, a generous spirit with ones resources and a fixated concentration on market values and futures. At virtually every point Wesley is opposed from an economic, political, and most importantly, a theological perspective. Wesley was not an economic theorist nor did he hate money. What concerned Wesley were the economic structures that would result from an inordinate desire to have money, to earn money, and to hoard money. In other words, what concerned Wesley was the unsanctified nature of the world. The theological resolution to keeping money in proper perspective was Wesley’s commitment to a theological concept he called sanctification or also Christian Perfection. Wesley an evangelical that not only cared about converting; he was intimately interested in how God shapes the world through sanctified people. Sancification was part of saving grace that shaped how a believer related to the world, so when Maddox indicates that sanctification is about delivering from the “plague of sin” such may be interpreted as that grace that reshapes how one relates to the world and lives out their daily existence in practical ways. Sanctification is the means by which one is delivered from colluding in evil and selfish uses of money and our lives redirected toward living a life that is reflective of God as a donating, mutually sharing and all-together loving way of relating to the world and others. The reorientation from love of self to love of others is in no clearer way embodied than in our economic transactions and in one’s ability to speak truth to that which seeks to debase humanity through cycles of production and consumption. For Wesley, capital is not a goal; the goal is holy living. The result is surrendering one’s resources to God. An additional aspect of sanctification was its communal orientation. Sanctification was something that occurs within the community of faith in order to minister to creation. As H. Ray Dunning points out, virtually all sanctification texts in the New Testament are corporate in nature. All aspects of a Christian’s life fall under the auspices of sanctified reality. This means Wesley was concerned with a sanctified relationship to money due to his awareness of the unbridled nature of human desire. Sanctification in our current context need not mean Wesley was concerned with making money holy, but that he understood it to be an object that must be properly set apart for specific purposes and ends, thus squarely placing our relationship to capital and economics within his theology of the ordo salutis (Order of Salvation). Wesley’s political and economic philosophy is bound to his anti-materialistic convictions founded on his reading of the Bible. When the world around him was appealing to natural rights, empiricism, nominalism and other popular intellectual fads, Wesley was insistent on founding his political and economic perspective on Jesus. Wesley was convinced of a biblically shaped politic that placed others at the fore of one’s embodiment of Christ. Just as Jesus was not concerned with the acquisition or accumulation of goods, but was marked by a life of giving, so too did Wesley envision the Christian life as one lived in service to the other as a model of the supreme archetype that is Jesus the Christ. Yet money has the inverse effect of not disclosing ones servitude and obligation to the other as an obligation to God, but as that which enables others to serve us, feeding the monetary urge to desire more and give less. Wesley was suspect of the role of money in the lives of believers because of its power to negate Christian faith. Wesley’s sermon on the “Causes of the Inefficacy of Christianity,” is an excellent example of how serious he takes avarice and the misappropriation of means when he declares that if one has gained all the money they can, and saved all they can, then they should in greater portion give all they can if they have any desire to escape damnation. Otherwise, Wesley fears that one can have no more hope of salvation than Judas Iscariot himself. Wesley is so utterly convinced of the corrupting nature of money that he offers little by way of hope for anyone who is rich. His notable sermon “The Danger of Riches” squarely places the onus of corruption on money in general and not simply as part of the immoral acquisition of money. 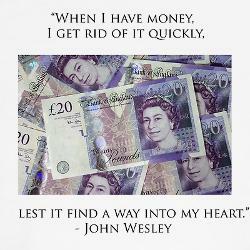 At this juncture, Wesley’s famous sermon on money has incredible import. Here, Wesley advocates a proper understanding of capital and how it is to be used. It is not a sermon on the demonization of money, but it is a sermon that clearly articulates a healthy relationship to the object of exchange known as money. In fact, in the sermon one gets the very strong impression that money and capital, when used rightly, is a good and virtuous object; yet money that is not dissipated properly can result in various evils and injustices. 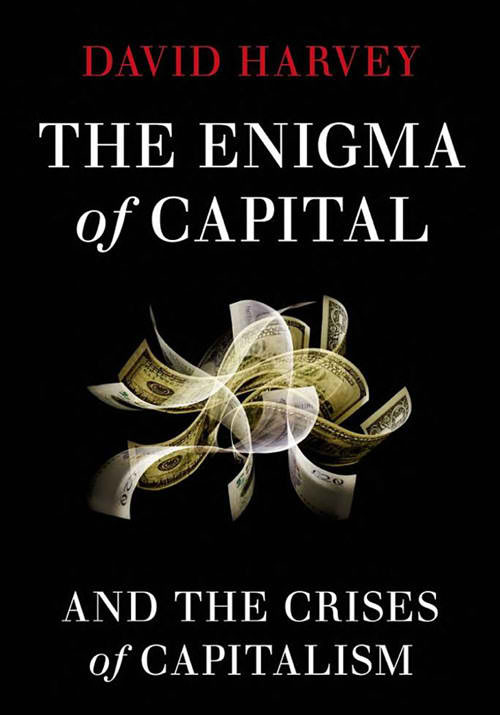 Along with sound personal economic advice, one finds a thoroughgoing Wesleyan critique of the very idea of money that keeps our system occupied through debt and exchange values. A look at Wesley’s take on money, and then debt, will show Wesley’s revolutionary political core. Simply put, Wesley suggests one should make all they can, earn all they can and then give all they can. The first 2 propositions are self explanatory. Wesley believed in making an honest living and saving what is necessary for one’s future sustenance. The most important anti-capitalist sentiment found herein is his conviction that one should not harm the well being of another in ones quest for earning a living. Wesley would find it abhorrent for one to put another out of business or to attack another’s trade in any form of economic activity, especially activity that would result in the destitution of the competitor. But isn’t this exactly what the “free” market does? Does not a market built on competition and capital, driven by desire and greed, encourage activity that will generate individuals/corporations whose ultimate value is the value of money? Indeed, are not some of the most “successful” businesses in America those that see weaknesses in competition, study them and then implement strategies seeking to destroy the other company? In addition, his statement that currency should not be manipulated seems to embody a preference for a working wage wherein the consumer and the producer can operate at an equal level of exchange, neither one abusing the other. However, in our current climate, not only is currency manipulation adversely affecting its valuation, and thereby undervaluing property and working wages, the entire global edifice of economic exchange is based on currency valuations against other currencies, which often times results in the over-valuation of the goods of some countries to the extreme detriment of another. Another crucial issue raised by Wesley is the issue of debt. Perhaps more than any other issue this lies at the heart of capitalism as multiple recent studies continue to contend from liberal and conservative economists alike. For Wesley, debt keeps people from being able to give. Wesley’s emphasis on ministering to the poor is not out of pious ambition; it is out of his commitment to love of neighbor and love of God. The poor need to receive as a redemptive act, and in such reception, one is also part of the activity of God whereby one declares their independence from the compulsion to consume and the worship of mammon. Thus, accruing debt is in sharp contrast to the spirit of giving, particular in our culture today where non-existent money is not called debt; rather, it is known as a form of discretionary spending called credit. The accumulation of debt, especially discretionary debt, is a clear indication the ones affections toward money are already unsanctified. Wesley’s historical context prevented him from developing a rigorous theory of money, but had he been able to do so he most likely would have been able to see that on a global scale money is unable to sustain the stability of trade because there is nothing beneath it to guarantee its value. Money is a symbol, whereby the means of exchange value, and exchange use, are confused in the symbol money with use value imposed by the physical presence of money, the idea of money itself. The great miracle of capitalism is that it discovered, along with the invention of credit, the nature of money as a value established without any intrinsic worth. Money becomes its own goal that actualizes hope in itself and is defined by invisible markers such as “markets” and “speculation” both ideas and concrete economic places that are in actuality nowhere precisely because they have no location and do not exist. While Wesley did not have a sophisticated opinion on how an economy might function on a micro or macro-economic scale, he knew well the things that drive our current markets such as fear, desire and greed. His sermon, “The Danger of Riches” can almost act like a primer on economic exchange and consumer psychology. In this sermon, Wesley offers an acute awareness of the role of desire in economic exchanges. He writes, “First, they that desire to be rich, to have more food and coverings; they that seriously and deliberately desire more than food to eat…” He notes that desire is the catalyst of inordinate consumption. He then couples the desire for more than one’s necessity with the idea of endeavor, or the commencement of causes to satiate the desire for more than one needs. One might today call the endeavor entrepreneurship or venture capitalism. Endeavors are falsified because the place from which they arise is the unholy affection of “more.” It naturally follows for Wesley that the result will be an individual that is determined to possess material wealth, rather than immaterial recognition in the being of God. An economic exchange built on desire, mobilized by endeavors, results in more things than are necessary. 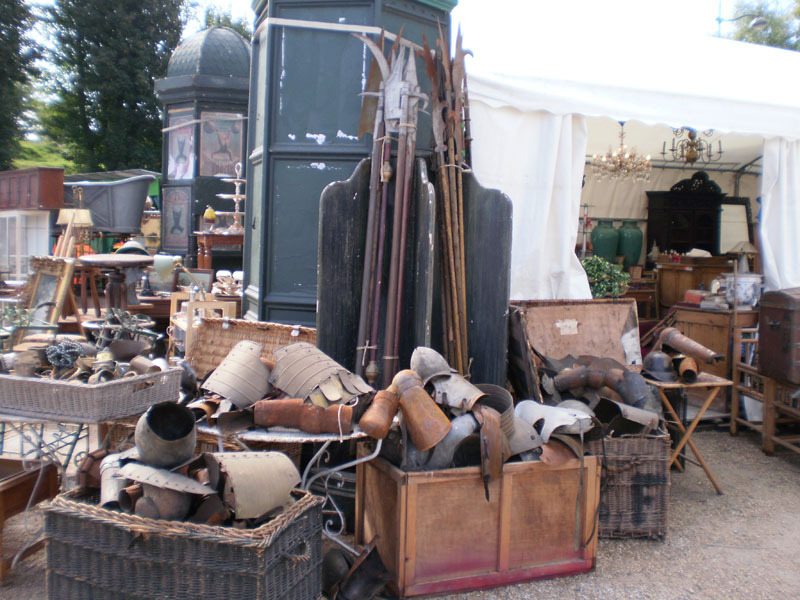 This collection of things results in the apparition of personal property for individual purpose and ownership. The result, for Wesley, is not a decrease in desire or the arrival of the American dream or the “good life,” but a perpetuation of the “desire of having more.” A desire that is endless and who’s own longing is its own destruction. The subtle denial of a Holy-day that is held delicately in the balance of adoration and consumption, with the latter giving way to our actions while the former is trapped in our sensibilities. Our very way of celebrating it dialectically usurping its truest image. As we push further into the season of Christmastide, the wave of incarnation supposedly still cresting before us, the season has all but ended. Christmas trees will come down. Dickinson’s villages will be put up. Jesus is the reason for a season that lasts one day…a day that covers the eyes of the Christ with swaddling cloths. Systemically, there is absolutely no theological understanding of what is occurring at Christmastide. There is no wide spread reflection amongst those that believe the Christ events occurs in Bethlehem or Nazareth and what the meaning of that event is within the history of the world and the history of ideas. There is no feast that occurs at twilight of the incarnation. The season has no patterning that would make us assume culturally that our celebration has some particular Christian character. The only character the season enjoys now is one of capitalist flavor and misplaced affections wherein we tell ourselves Christmas is not about “things” only to spend the majority of our time with “things” and thinking of the “things” we’d have liked to receive. Say what we may, but Jesus is not the reason for the season. He’s not even considered that by those that seem to say that quaint phrase the loudest…their actions denying their language. Christmas is the lie we tell about ourselves to hide ourselves from our true selves cause the thought of us actually not caring about the “real reason for the season” is unbearable upon the selves that deceive themselves into thinking they care or that Jesus as the Christ of God matters in any real material way. Christmas, as is now celebrated, is usurped in its very celebration. Our very means of remembrance also containing the deconstruction of the event itself; we think we inaugurate a Savior but in fact we inaugurate his absolute meaninglessness. A Christ that is good for nothing but to be born. A Christ and his story that does not shape our lives more than the culture below the Christ into which he is received. But this is problematic, because “Christ” and our embodiments of “Christmas” are oxymorons. The very offensive and effacing concept of Christ does not fit alongside the marketplace of ideas in Christianity. It doesn’t fit with how we talk, think and act upon Christmas. Even simple things, such as a Christmas eve service, or a Christmas day service, has been deemed as bothersome because it interferes with the real meaning of the season: family and gift giving. People who are devout in their faith, those that scream conservatism the loudest and proclaim a culture war has been initiated upon Christmas are at the front of the line in relegating Christmas to a secular holiday void of any meaningful theological content, and certainly void of any religious formation other than grandpas prayer over the turkey at dinner. Christians have lined up in hordes to embrace an empty Christology that is void of any real spiritual formation and caste in the appearance of the secular dismissal of anything more than a current rush to a particular morning that holds no more content than the anemic form of its arrival. Christmas has become nothing more than farce…but it can be nothing but farce as the paranormal Christ stands beside it. There is simply no more stark a comparison nor is there a more deep distinction than the theological content of advent, Immanuel, Christ-event, incarnation and the cultural and ecclesial embodiment Christmas suffers at the hands of those that “love Jesus” and those that could really care less. We say we desire the Christ, the event, yet our actions say we really desire the object below the Christ that is really the object of nothing. It is nothing but brown monochromatic semblances coated with shiny illusions. The trick is we have lied to ourselves about our intent and our desire when our intent and our desire are clearly seen via its own incarnation in the world. Christ is not an alter event. Christmas changes nothing. There is no theological, ecclesiological, or cultural power to be had here…all of these mean nothing to the masses. Christ has simply become the conduit through which we satiate our desires and participate in the quest for more…and it’s so perfect because we are able to do it all in the name of God. How fortunate and perfectly ideal that God wants for us what we want for ourselves. 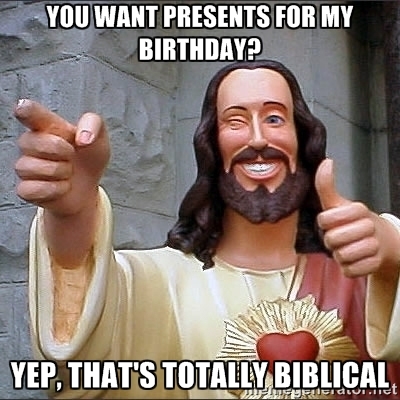 We like the object of our power to continue to lure us into the imaginary lands of plenty and more and we like for the real Jesus to stay buried so we can turn him into our version of buddy Christ that approves of our blatant sacrilege. We justify our excess in the face of a Christ that always excessively gave himself while incessantly refusing the excess of power and things. Even at Christmas time, or moreover especially at Christmas time, we say that we want our kids to “have a good Christmas” and have “good memories,” but what does that mean besides give them a grand display of everything capitalism has to offer? What makes a Christmas good? And why must it be made to be so, when the very incredible event of incarnation and its theological content should be enough to keep us preoccupied as we hold hands with loved ones and actually spend time seeing the feast of the incarnation occur in one another? I wonder what kind of Christians we are making by celebrating Christmastide as we do and not re-narrating the season to be more than the pinnacle of gifts that explode from under a tree. If such is not the case, when was the last time Christmas was a spiritual experience for you? When was the last time your faith was actually made stronger because of this special “season”? Most Americans can’t name one…must be a first world problem. But this farcical way of celebrating Christmas, or the Mass of Christ, is to be expected in a late capitalist and decaffeinated Christian society. We do not value mystery. We do not value a story that is more than characters and details…and we don’t not think deeply about our faith. The Bible doesn’t require deep thinking because it is plainly obvious what it means…all the while we bore one another with a dead nativity that does nothing more but provide a photo op for our children’s programs. Scripture is dead. The nativity just a detail. The characters just furniture to fill the room of the story. The baby Christ has become “normal”; the nativity has become nothing more than something to defend in the public square…both have become so decaffeinated that there is effectually nothing that happens when we encounter them or think of them. Rather than being an audacious story that seeks to challenge our worldviews, we have traded in the para-normality of the event and its characters for something we can digest and feel good about a faith that we have given to ourselves since such self given faith never challenges anybody to be different or to seek forgiveness. And we know this, but to make our idea of Christmas palatable, and our ideas of the details of these infancy accounts infallible, we simply lie aloud about our true intentions so we can justify the appearance of our actions. There are plenty of reasons for the season, but even Jesus knows he’s not one of them, especially a season that is already over. Perhaps it is a good thing the season is fleeting…we’d hate to desecrate the Christ any further by making Christ a neo-liberal that would clearly celebrate his nativity like we do. As the single largest conference of the leftist and liberal political agendas gathered this Week at Pace University in NYC, I found myself wandering back through my own experience of this Conference and wanting to offer some ruminations not only on its seminal importance, but also its shortcomings as a movement. When I went to LeftForum last year, it was galvanized by a huge presence of activists and leftists of a hundred different stripes…even a Ron Paul Leftist group was present. They were all there, descending upon the City and the University that is within a few blocks of the sights of Protest in the fall of 2011, gathering to discuss the future of our economy, our politics, our government, our social constitution…and attempting to think alternatives to the greedy hubris and totalitarian politics that is making an indelible imprint on each of our lives. It was an act of the word Glen Beck hates the most, Social Justice, a movement attempting to define and grapple with what it means to live just lives, fair lives…lives that are not stacked against the proverbial “house” that seems to be holding all the cards. Those that attended the conference were admittedly having discussions on how to, in the words of Barack Obama, “fundamentally change” America. They were talking about folks like Marx, Trostsky, Lenin, etc. They were attacking neo-liberal political agendas and asking how we might move past these hegemonic forms of life. It was a critique of culture and it was admittedly coming from the Left. Unlike outlets like FoxNews would have us believe, these people were not covert in their demonstrations. They were not trying to subvert the Constitution in a shrouded room with dimly lit lights and coverings over the windows. On the contrary, most of the people I talked to admitted the problems with our democracy. They went after “archaic” documents such as the Constitution, and most humbly and admirably, many of them were able to demonstrate how leftist politics and “socialism-lite” have always been a part of America’s history. Socialism and Marxism literally goes back to Thomas Paine (the darling Common Sense author of the political Right) and Abraham Lincoln (who was reading and being influenced by Marx in the 1850’s…Marx even supported Lincolns invasion of the South), both personages who conservatives worship as if American Gods and to Lincoln we have affirmed this divinity erecting a temple in Washington to commemorate his divinity. Time would fail to recount the rise of lobbyism under Grant, the creation of social “safety” nets under FDR, and the “great society” given to us by LBJ. The attendees of the Conference know the system (and our financial and political ways of beings are systems) is so complex and multi-faceted that there are truly no simply solutions. But just because the task seems formidable and perhaps irresolvable within a complacent electorate, doesn’t mean we should just surrender the cause of justice and mute the prophetic voices that must call systematic evil to the floor. America is a difficult project because the liberal democratic ideals upon which it was founded has now been merged with ideological sentiment that is logically inconsistent with the libertinism of authentic liberalism and the net result is literally crippling the country…and there are many folks feeling the buckling of our national knees. The system simply cannot sustain itself at its current pace…we must seek alternatives…or we must be willing to accept the logical ends of capitalism unchecked and production unabated. That their cause is noble and good is not a question. Whether or not one finds the caricature of my experience palpable or not, is also a mute point. At bottom, Occupy was about speaking truth to power, saying “hell no” to those that want to trample and prey on unsuspecting consumers…even if their ignorance is partially their fault, and it was seeking alternatives outside the framework of laissez faire capitalism (even though this type of Capitalism has been dead in this country for at least 100 years). One of those new frameworks being explored was Christian theological tradition. This is what our group of folks was there to explore… I was part of a panel that was largely comprised of McAfee School of Theology @ Mercer University affiliated pastors and theologians that presented on the topic of global capitalism and Christianity. Our panel was chaired by the Rev. Dr. Graham Walker. We baptists were engaging the far left political and activist elements alive and well in America and around the globe. As a group we learned several things that are extremely important for Occupy and our Churches to note. We were asking the question, “Is there anything that the Christ event, scripture and Christian history can say to this current predicament?” And, surprise, surprise, we were the ONLY ones exploring this issue. Last year, out of 400 panels, we were the ONLY panel exploring Christian theology and economics as it interfaced the global economic meltdown. This, however, is problematic…it is a problem because most human beings are religious in nature, in habits, in orientation, even those that claim irreligiosity or atheism. People organize their lives around principles and ideas that transcend the immediacy of their bodies, even if that which transcends our bodies is a transcendent idea of the self regulated self (which is a problem if no one’s ever told you). 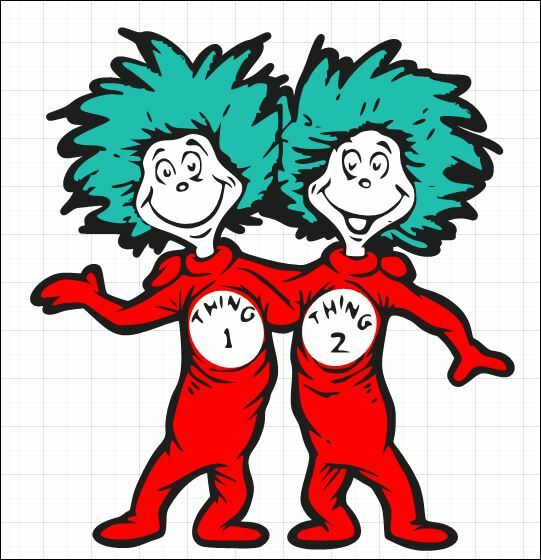 There is an “other” idea, concept, thing, being, whatever, that drives us toward further existence…a purpose that grounds who we are and what we value…and this value of all values is what concerns us. It is how we make sense of the meaning of life. Most people are religious because the religious does not confine itself to a specific ontology; it is, rather, couched in various ideologies which may, or may not, be theological in orientation…Even 60 years ago Paul Tillich was making this argument…and today Slavoj Zizek is the cultural reminder of the religious value of our ideologies. But this begs the question…if Occupy was a movement that was engaging that which is most complex in the world…and that which is felt by us all…how could it proclaim to answer these questions for the majority when most of the majority answers the tough questions of life through a lens of faith? How can a movement tackle systemic evil when it has no paradigm for engaging evil other than in subjective moral leanings or ideological preferences from the Left…especially those that robustly discount how most people in the world determine value and a sense of good or evil? Over and over we heard, and many saw on the news, signs that were proclaiming “We are the 99%”…as if to suggest that those in Occupy were the “common joe” and fighting for “main street” when all the while the folks that instigated the movement, and the folks that hosted LeftForum, are really part of the 1%. They are part of the academic world that has all but forgotten the word “God” or faith. Marx has become their Christ…the dead Lenin their Pope. Revolution has become their New Jerusalem and the Parousia is the place where their ideologies take a physically manifest form in the much anticipated, and not too distant, future. “We are the 99%.” Or so we are told by all the academic elites and activists that litter the hallways and conferences of the Occupy Movement and LeftForum. But this is not the 99%…and to try to solve the problems of the majority with an ideology of the very very marginally populated academic elite will not gain the necessary grass roots to effect real change in real systemic ways. The leaders of the movement and its intelligentsia are generally agnostic, if not adamantly atheistic. At last Springs Left Forum, one panelist even described herself forthrightly not as an activist or socialist, but as an atheist. This is the way she wants people to primarily identify her…her first impression if you will. And the movement claims no religious motivation??? 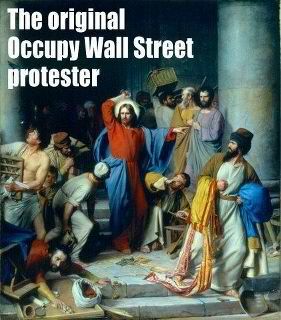 Indeed, the 99% that Occupy is fighting for is most certainly atheist, right? To neglect the religious when dealing with some of cultures most difficult problems is to neglect the singular most significant resource that humanity has used to make sense of the world. The problem with Occupy is not its concerns or even its methods. The movement is thoroughly a justice movement, and despite the bad media attention, it is prophetic in its content. 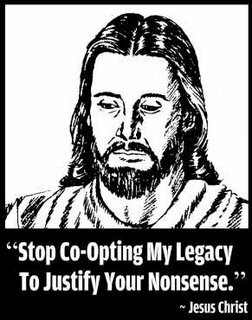 The problem with many folks in the Occupy movement, however, is that most of them embrace historical perspectives that are antagonistic toward religion and they continue to foster such antagonism. Many of the leaders in the movement are pro-Marxist, pro-Leninist, pro-Anarchist, pro-socialist, pro-Communist, to name just a short few, and they embrace many of the great ideological thinkers behind these movements. Unfortunately, many of the ideologues that generated these many “isms” were not careful enough thinkers and they dismissed religion as myth rather than metanarrative. What the Occupy Movement (and what this year’s Conference will also most likely miss) fails to see is that they can never effect change in a multi-contextual way if they are adamantly opposed to the theological persuasions of the 99%. Most people in America believe in God. Most of the working class finds their faith very important to them. Most of America, the large portions of Americans that are victims to the financially systemic evil we find all around us, believes that God is important and that their lives have divine purpose. They are not buying the famous Marxist line that religion is an “opiate” regardless of if they even understand that analogy within its historical context or not. If those at the front of the Occupy movement insist on defending the 99 and insist that they are the 99, they need to realize that unless they embrace some form of theological underpinnings their movement will have little effect and it will generate little excitement at the grassroots level. It will remain an academic sideshow with little relevance in the real world. People need devotion to drive them. They need something greater than themselves to galvanize their spirits and organize around. They need hope and salvation/wholeness. For many people, the simple nothingness of the concrete world is nothing for which they should sacrifice themselves or their families. When I was at the Conference I was speaking with a lady who is a Methodist activist within the Occupy Movement. She noted the loathing of religion by the elites within the movement and how their own ideology was inconsistent with the working class they were attempting to help. Much of Occupy is fighting for those marginal groups of people that are exploited for financial gain. They tout their movement as a justice movement, yet they fail to embrace the theological grounding upon which social justice is predicated in most major world religions. Social justice and equality is not a Westernly originated idea. It is a religious idea encased within a religious framework. Occupy (and it’s morphological forms that will precede from this movement) should realize that they need the churches as much as the churches need them. The Church is the defender of the poor. It is the organization that can speak truth to power and do so under the protection of religious liberty. It is the place in which wholeness and salvation are united into a concept of well being and restoration/restitution of our humanity. It is the bearer of sacred scripture, the text that has the power to convict and call into question the evils of the world, not reinforce either a Left or Right political agenda! The very ministry of Jesus was about releasing the captive and condemning the political and financial structures around his ministry. The church should join hands with those fighting exploitation and stand alongside equality and reconciliation in an attempt to create a world that more faithfully looks like the Kingdom of God and less like a reflection of the greed that penetrates the heart of a capitalistic society. Only in doing so can anything be truly “occupied,”…and strangely, only in this way, can anything beside our selves be an incarnate manifestation of a Kingdom not of this world. Luckily for us, we have an example of an “occupation” in humanity that effectively did change reality and serves as a salvific paradigm for us all.